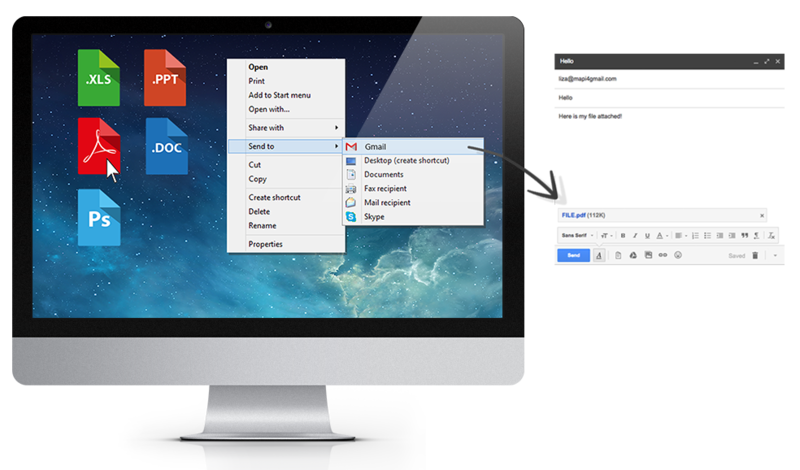 Send your document as a Gmail attachment by using the “send as attachment” feature directly inside your document. One simple click a new Gmail message window will open with your document attached. 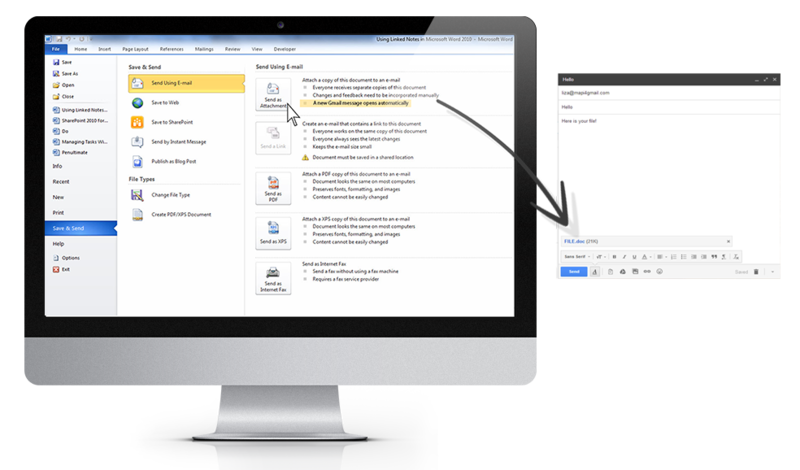 MAPI for Gmail® is compatible with any software and you can use it from any device where you install it. Send word documents. Powerpoint presentations, Acrobat PDF’s, Photoshop edits, Winzip files and many more, with a simple click! No need to download and install new versions : The software frequently checks online if a new version is available and automatically updates it. Domain administrator can install it on their users workstations through GPO installation.